The Charity Commission, the independent regulator of charities in England and Wales, has opened a statutory inquiry into The Bersam Trust (526452) to look into concerns over potential misconduct and mismanagement in the administration of the charity. The inquiry was opened on 14 January 2019. The Commission has examined the charity’s annual accounts and obtained records from the charity’s bank account under section 52 of the Charities Act 2011. It found significant discrepancies between the financial activity recorded in the accounts and the values of funds entering and leaving the charity’s bank accounts, raising serious concern. The Commission has therefore taken protective regulatory action to freeze the charity’s bank accounts, under section 76(3)(d) of the Charities Act 2011. 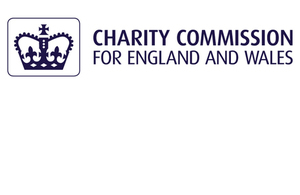 The Charity Commission is the independent regulator of charities in England and Wales. To find out more about our work see the about us page on GOV.UK. Section 76(3)(d) of the Charities Act 2011 gives the Commission the power to order any person who holds any property on behalf of the charity, or trustee of it, not to part with the property without prior approval of the Commission. It is a temporary order and is reviewed on a regular basis in line with normal procedures. Section 52 of the Charities Act 2011 gives the Commission the power to require a person by order to provide the Commission with information about a charity which is relevant to the discharge of the Commission’s functions.